Dr. Greg Wells is your guide to a high-performance life. As a scientist and physiologist, Greg’s gift is to translate science into actionable and effective life tips. 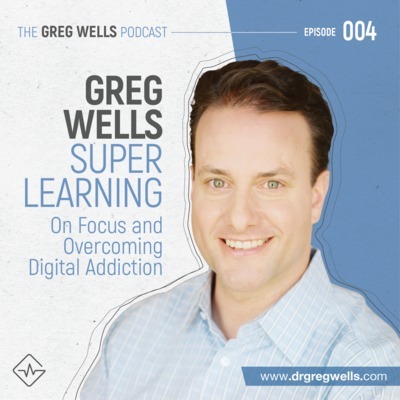 Using the latest research on the brain and body, Greg and his guests provide simple but transformative strategies to boost your mental and physical health, advance your career and upgrade your life. Podcast music by Preston Gunderson (www.prestongunderson.com). Welcome back! This week we have an incredible interview with someone who I grew up tracking and idolizing - Silken Laumann. From broken bones and shredded muscle to Olympic glory, Silken’s story is one of courage, perseverance, and the triumph of the human spirit. In May of 1992 just 10 weeks before the Olympic Games in Barcelona, Silken was injured in a brutal rowing accident that left her right leg shattered and deeply injured. She was reigning world champion in single sculls rowing, but her doctor told her that she might never row again. Twenty seven days, five operations, and countless hours of gruelling rehab later, she was back in her rowing shell and began to pursue her Olympic dream all over again. On August 2nd 1992, Silken made the greatest comeback in Canadian sports history and one of the greatest comebacks in all of sports history, winning a bronze medal at the Olympics and ultimately capturing the hearts of millions of people. Now retired from rowing with three Olympic medals, she has continued to inspire and encourage people to dream, live in the moment, and embrace failure as a stepping stone to progress. She has launched a new initiative called We Are Unsinkable, which is gathering stories from people who have overcome obstacles in their lives and sharing those to help other people become inspired. I'm really excited about having Silken on the show. We do a review of her entire sporting history, learn a lot about the challenges that she faced after the Olympics were over, and ultimately landing this incredible new initiative that she's launching. You can check her out on all of her social media which are listed at her website silkenlaumann.com and at weareunsinkable.com. Her story is unbelievable and I think you're going to love this conversation. Welcome back! Today I sit down with Leslie Beck. Leslie has spent her career helping Canadians achieve their health goals as they relate to diet and nutrition. She is a coach, best-selling author, columnist, and television and radio personality. As a registered dietitian, Leslie runs a private practice in downtown Toronto at Medcan, where she offers clients expert diet and nutrition advice, personalized meal plans and ongoing coaching. As Medcan’s Director of Food and Nutrition, she oversees nutrition program development and implementation, and works closely with Medcan’s executive chef to develop recipes, menu items, and retail food products (Nourish by Medcan) that align with Medcan’s food philosophy and current nutritional guidelines. Leslie writes a weekly column in The Globe and Mail, can be heard Mondays on CJAD radio in Montreal, and is a contributor to CBC Radio Syndication and CTV news. She’ s also the best- selling author of 12 books on nutrition and health. Born and raised in Vancouver, BC, Leslie obtained her Bachelor of Science in Dietetics from the University of British Columbia and went on to complete the dietetic internship program at St. Michael’s Hospital in Toronto. She studied a Masters in Epidemiology at the University of Toronto. 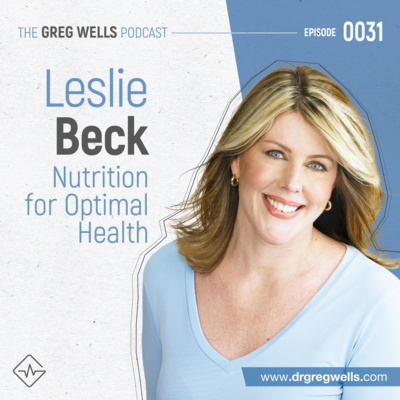 Leslie is a member of the College of Dietitians of Ontario, Dietitians of Canada, and The American College of Lifestyle Medicine. Welcome back everyone! Here is Part Two of my interview with Jim Kwik. The podcast originally appeared on Jim Kwik's podcast. You can check that out and you can find everything about Jim at his website at kwiklearning.com. There you will find all of his social media contacts, his website, and his podcast, which has some unbelievable guests on it. Check that out if you want to learn more about learning, mindset, memory creation, efficiency, and high performance brains. Enjoy the second half of my interview with memory and learning expert Jim Kwik! Welcome back! Today I am going to share with you an interview that I did with Jim Kwik for his podcast. It's an overview of some of the principles that many of you are likely getting quite familiar with - sleep, nutrition, exercise, and mindset. Jim is an incredible interviewer, amazing speaker, and one of the top experts in the world on accelerated learning, memory improvement, and optimal brain performance. He is the CEO and founder of Kwik learning, a leader in accelerated learning with online students of every age and vocation. Jim's cutting edge techniques and impressive mental feats have made him a highly sought-after brain trainer for top entrepreneurs and organizations. His clients include Virgin, Nike, G.E., Fox Studios, Harvard University, and Singularity University. Here is Part One of my interview with Jim. Enjoy! Welcome back everyone! 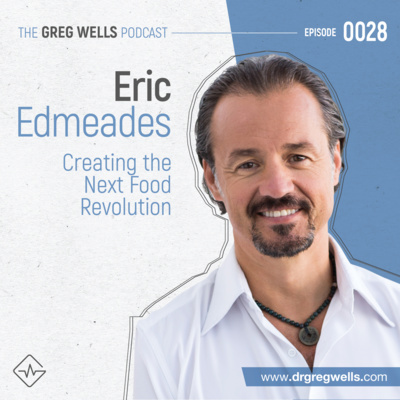 Today I talked to my friend Eric Edmeades. Eric is an internationally recognized business speaker and serial entrepreneur. Eric has owned businesses in a variety of industries ranging from mobile computing to Hollywood special effects where he had the privilege of working on Hollywood blockbusters like Avatar and movies in the Pirates of the Caribbean, Transformers, and Iron Man franchises. Today, Eric is focused on business education. As the developer of both Inception Marketing™ and Business Freedom™ Eric travels the world hosting business and marketing education programs, speaking at business conferences and providing executive coaching and business mentoring services. Eric’s talks are designed to get you on the road to real business freedom; owning a business that gives you both the financial freedom and flexibility to spend more time on what really matters; your family, your health and your life. #27. 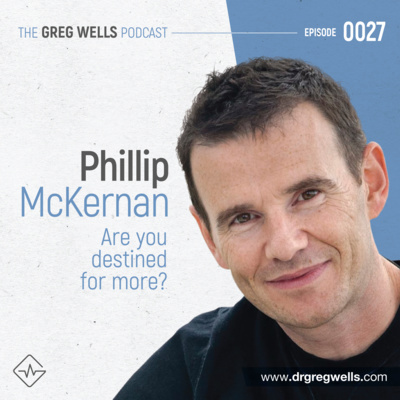 Philip McKernan on Are you destined for more? Philip McKernan is an inspirational speaker, writer, and film maker. Philip works with entrepreneurs and business leaders all over the world. As a speaker, he's inspired and challenged the Canadian Olympic Team and the Pentagon, amongst many other audiences. He helps people get clear on who they are and where they need to go. Philip spends a lot of time challenging the status quo - challenging you to examine what's going on, think about the stories that you're telling yourself, and contemplate a different way of doing things. Philip has caddied for the president of Ireland, was chased by a bull elephant in Nigeria, made wine in Australia, has traveled to 80 countries around the world, has worked with orphans in Sri Lanka, Peru, India, and Guatemala, has written four books, and has released a documentary that explored how the gift of giving makes up for other challenges that we face in our lives. Enjoy this conversation with my good friend Philip McKernan. Welcome back everyone! Today is an epic conversation with Robyn Benincasa, the adventurer who inspires. Robyn is a world champion adventurer racer, award winning notable motivational speaker, three times Guinness World Record kayaker, San Diego firefighter, 10 times Ironman triathlete, New York Times best selling author, proud owner of two bionic metal hips, and the founder and CEO of the Project Athena Foundation, which helps survivors live an adventurous dream as part of their recovery. In this interview we talk about everything that Robin is up to. This is one of my most fun conversations. She’s extremely inspiring and has some really practical takeaways at the end. 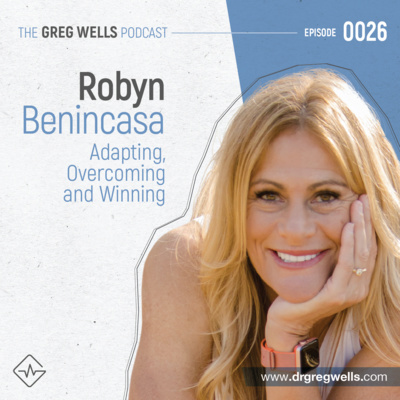 Let's dive right into my conversation with Robyn Benincasa. Enjoy! 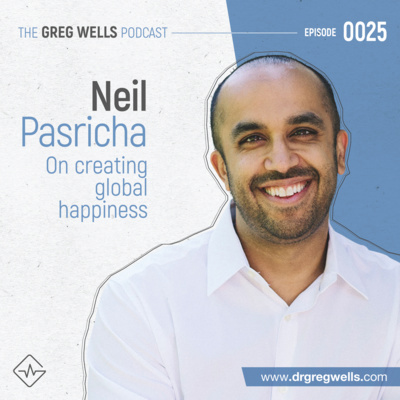 Today we get a chance to talk to my friend Neil Pasricha. Neil is a positive psychology researcher who's focused on the relationship between happiness and leadership in business. Neil is one of the most popular TED speakers, with his first TED Talk “The 3 A's of Awesome” ranked as one of the ten most inspiring talks of all time. As a Keynote, Neil has spoken to hundreds of thousands of people around the world including Fortune 100 companies, Ivy League schools, and even royal families in the Middle East. He's written five New York Times best sellers including The Book of Awesome, The Happiness Equation, and Awesome is Everywhere. He established the Institute for Global Happiness, which continues to have an impact around the world. His work has been featured on CNN, BBC, The Today Show, The Early Show, The Oprah Winfrey Network, Harvard Business Review, Fast Company, Fortune, and Forbes. Please enjoy this conversation about happiness, resilience, and living a world class life. Welcome back! Today we talk to Nick Foley. Nick is the founder of Good Sport, the non-profit organization Move for Inclusion, and is a co-founder of WE BE US. Move for Inclusion works alongside schools assisting with the design and implementation of curriculums based on inclusion. Good Sport is an online character-based education company for athletes, and Nick's newest venture WE BE US (WE as a community can BE stronger if all of US work together) sells socks. For every pair they sell, a new pair is donated to one of their charitable partners across Canada. He's also the author of two books: “Act Like You've Been There: Rules For My Brother,” a guide to living with integrity and perpetuating good citizenship, and most recently the children's book “Kapernakus”, which focuses on self-esteem and inclusion. Nick is the proud father of Brynn and Welles, whom he has learned so much from and who we talk about a lot in this conversation. 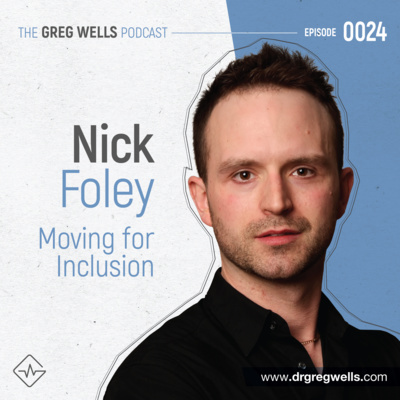 I hope that you enjoy this conversation with Nick Foley! 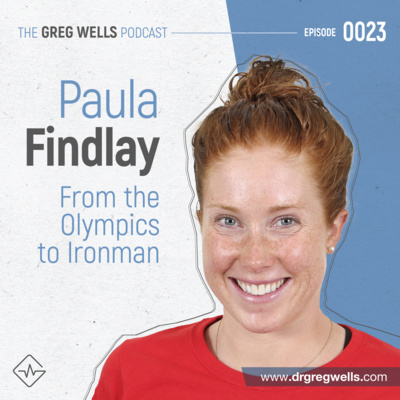 World class triathlete Paula Findlay’s journey into the sport of triathlon began first as a swimmer which she been doing since she was 10 years old. Paula won the junior and senior national championships in 2008. She took another major step forward in 2009 when she finished third at the Under-23 World Championships. In 2010, Paula shocked the world becoming the first Canadian triathlete to win a World Championship Series event -- on the now-famous Hyde Park course in London, England. Paula at the time was just turned 21 and she was ranked No. 1 in the world. From late June 2011 through to the Olympics in London and most of 2013, a nagging hip injury limited Findlay to just five events, one of which she did not start, another of which she did not finish, and a disappointing performance at the London Olympics. A healthy Findlay is back to elite racing with some impressive results in both half iron man and iron man distance triathlons. 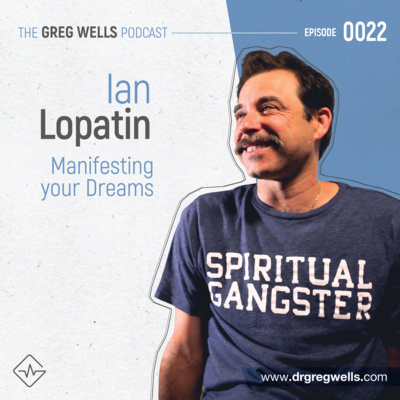 Ian Lopatin is the founder of a lifestyle clothing company called Spiritual Gangster. When he was a kid, he watched mom host neighbourhood yoga gatherings and as an adult he worked as an entertainment lawyer in L.A. He had a life changing encounter with Bikram Chowdhry and after that he opened One Yoga studios in Phoenix and Scottsdale Arizona. He ended up teaching yoga around the country and was known for linking yoga with hip hop music, which completely changed the way that yoga was being taught. He then moved on to found Spiritual Gangster and has become wildly successful. Ian and I discuss his business success as well as his lifestyle practices, as he's an elite performer in business while he travels all over the world. I’m really fascinated about his integration of mindfulness, a physical practice, a very difficult work life, and travel. I hope that you enjoy this conversation with my friend Ian Lopatin. 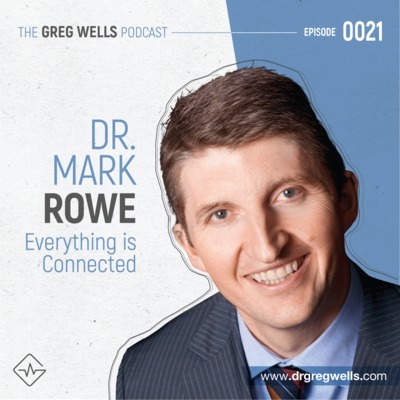 Dr. Mark Rowe is a thought leader in the area of health, inner happiness, and well-being. He founded Waterford Health Park as a new paradigm for sustainable improvements in community health. The health care facility was a finalist for World Building of the Year at the World Architecture Festival Awards in 2010. In 2013 it received Global Health Improvement Award. Mark wrote “A Prescription for Happiness” and “The Men's Health Book”. He's a member of the Healthy Ireland Council, which provides the platform to connect communities, families, and individuals into a national movement - supporting everyone to enjoy the best possible health and wellbeing. He runs his lifestyle medicine Be Well clinic from the Waterford Health Park. He is an international keynote speaker on the philosophy of wellbeing, lifestyle as medicine, health leadership, regenerative space, and a prescription for happiness. His TEDx Talk in Dublin in 2017 was titled The Doctor of the Future. Flow states are some of the most incredible experiences you can have as a human being. They occur when we engage in an activity that completely consumes our attention and challenges us at exactly the right level. Maybe you are exercising at a new level and it feels easy. Maybe you are working, lose all track of time and get five times as much done. Maybe you are having an amazing conversation over dinner with a group of people or sitting on a beach coming up with a new solution to an old problem. 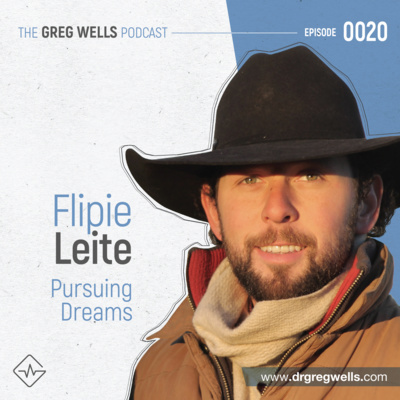 Flow states are absolutely incredible, and they have been a reference point for guests on this podcast over and over again. So I wanted to share with you a condensed version of The Power of Flow, which explores what happens when you get into that state, how you can deliberately activate it and what it can do for you. It is a simple idea that can make a huge difference in your life, so check out my presentation on the POWER OF FLOW. In this era of constant, unrelenting distraction, I have become more and more and more convinced that focus is a prerequisite for any sort of world-class performance. You cannot perform well if you are distracted, and I don't think you can be particularly healthy either. I think mental health depends, to some extent, on our ability to control and maintain our attention. I've also worked with hundreds of Olympians and seen how much the ability to sustain a consistent level of focus is crucial for world-class performance. I wanted to explore this topic in more depth, so I did a presentation on The Power of Focus. I recorded the audio and have pulled it out to share with you. I’d love to hear your thoughts about how you focus, what you use focus for and what challenges you face in maintaining it. As part of our ongoing conversation about better health and human performance, please enjoy my presentation on THE POWER OF FOCUS. In this episode, I want to share an idea with you that I call The Power of Challenge. I've been studying how people overcome obstacles in their lives to put themselves on a better trajectory. It’s really interesting to think about mental health and how we can help people move into a space where they maximize their potential. I gave a session recently exploring The Power of Challenge and recorded it, so I wanted to share it with you. This is sort of new thinking for me, and I’d love your opinions and comments about your experience with this and how you apply it in your life. The more we can create a conversation around this, the better, because mental health is one of the biggest issues we're faced with today. So here we go. Let me know what you think of this session I did recently on the POWER OF CHALLENGE. 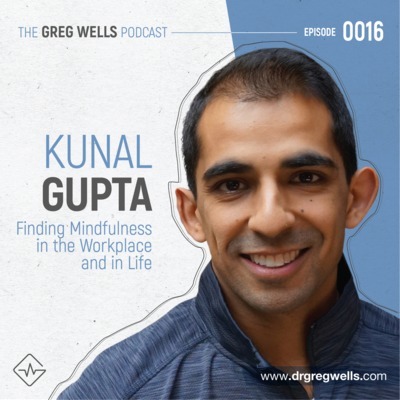 Today we have a really cool interview with my friend Kunal Gupta. Kunal started a company about 10 years ago called Polar mobile, which has expanded and grown into a global technology company. As the company has grown Kunal has as well. He has lately begun to write blog posts on finding focus, and has become a leader in integration of mindfulness into leadership and into the workplace. I was really excited to chat with him because I think that he has an interesting perspective. He has business credentials that are tremendous and he also has very practical ideas on how to implement all of these these ideas into your life. He's experimented with minimalism and with Mindful Leadership. This is a deep dive into a life that's been transformed over the last decade. So please enjoy this conversation with my friend Kunal Gupta. 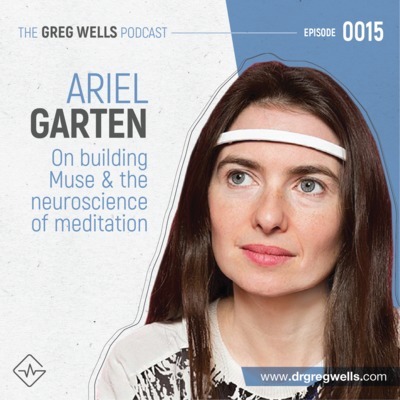 Ariel Garten is a neuroscientist, innovator, and entrepreneur whose driving purpose is to empower and help others overcome mental obstacles in order to live healthy, happy lives and reach their maximum potential. Garten is the Founder of InteraXon, the makers of Muse: the brain sensing headband. Before founding InteraXon, Ariel was not only trained as a neuroscientist and psychotherapist, but also started her own international clothing line while she worked in labs researching Parkinson’s disease and hippocampal neurogenesis. Her creativity and entrepreneurial head combined with her fascination with the brain lead her to join forces with two like-minded friends, the later co-founders of InteraXon. Together they founded a Silicon Valley backed startup that allowed people to control computers with their minds, the technology that sparked the creation of Muse. These days, Ariel can be found at on stages across the world speaking about happiness, meditation & mental health. Hello podcasters! It's great to be with you today. I want to share an interview with communication and leadership guru Judith Humphrey, who coached me in my early career and was instrumental in preparing me for the 2010 and 2012 Olympics and the Superbodies series, which won a Gemini award. In 1988, Judith launched The Humphrey Group, the first Canadian firm to focus on uniting leadership and communication. Now led by her son Bart Egnal, it remains a major presence in the field, continuing to deliver pioneering programs established by Judith like Taking the Stage for women leaders. Since her retirement in 2017, Judith has continued to write and speak widely, sharing her knowledge about how to inspire through communication. In 2012, she was awarded the prestigious YWCA Woman of Distinction award for entrepreneurship. I hope you benefit tremendously from this deep conversation about leadership, communication and crafting a world-class life. Welcome back everyone. It's great to be with you. 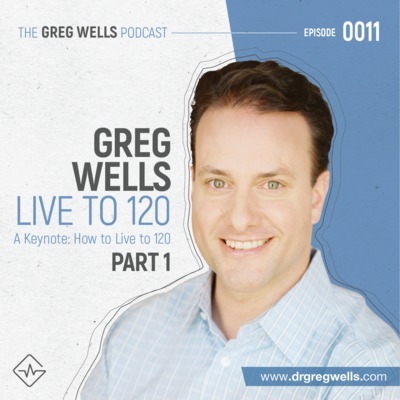 I want to continue with a keynote presentation I gave called How to Live to 120. This talk was part of a series that ultimately led to my bestselling book, The Ripple Effect, which is the advanced version of ideas that I was just beginning to distill and organize. In part three, I explore nutrition and its role in causing inflammation, along with a bunch of tactics and recipes you can use to make sure you are as healthy as possible. From there, the keynote moves into the power and benefits of being in nature, both physically (including at the cellular level) and mentally. Here’s part three of my presentation, HOW TO LIVE TO 120. Hey everyone. Welcome back! Thanks so much for sharing your attention with me on my podcast. I want to continue with part two of my keynote, How to Live to 120. This talk was part of a series of thinking processes that ultimately led to my bestselling book, The Ripple Effect, which is the advanced version of ideas that I was just beginning to distill and organize. In this segment, I begin with physical health, move into mind-body connections and then explore meditation and mental health. Please enjoy part two of my keynote, HOW TO LIVE TO 120. Hi folks! I am really excited to share this podcast with you. It’s a keynote I gave a couple of years ago in which I tried to deconstruct how to live to 120. In this podcast, I explore several cutting-edge medical technologies that are emerging before getting into an approach to physical fitness that will help extend your life that I call the Four Fs model: Fit, Force, Fast and Flex . This talk was part of a series of thinking processes that ultimately led to my bestselling book, The Ripple Effect, which offers the advanced version of ideas that I was just beginning to get distilled and organized. I hope you enjoy these ideas and also those found in part two and three of this same talk. Thanks for listening and enjoy HOW TO LIVE TO 120. Hey everyone. Welcome back! Thanks for joining me on my podcast. I've been trying for a while to bring you an episode on coaching so you can help people around you improve their performance. 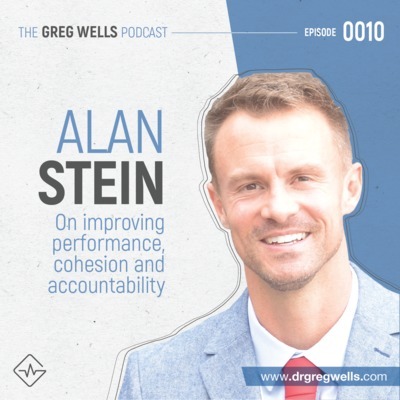 I’m stoked that I was able to speak with Alan Stein Jr. who is a coach, consultant, speaker and author with industry-leading expertise in improving organizational performance, cohesion and accountability. Prior to his current work, Alan spent 15 years working with some of the highest-performing basketball players on the planet, including NBA superstar Kevin Durant. Alan now travels the world teaching organizations how to utilize the same strategies in business that elite athletes use to perform at a world-class level. He has worked with some amazing organizations, including Tower Health, American Express, and USA Basketball, among many others. I'm really excited to do a deep dive into coaching and how to help people achieve world-class performance. Hello! It's great to be with you. Today, I interview Eric Williamson, a grad student at the University of Toronto who conducts research as part of my team. He's just a fantastic human being who is already making a significant contribution to our understanding of nutrition’s impact on performance. 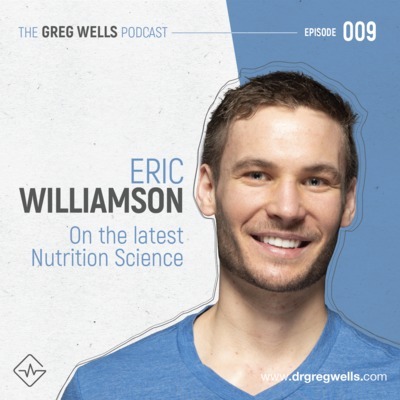 Eric is a registered dietitian who has completed his Master's degree and is currently pursuing a PhD. In our conversation, he breaks down a lot of the common questions people ask me around nutrition. Specifically, we dive into protein and weight loss, which are two issues I know many people ask about. Ultimately, we just end up talking about healthy eating and approaches to improving nutrient intake in your overall diet, which is ultimately what I believe healthy nutrition is all about. So here we go – a deep dive into nutrition science. Please enjoy my conversation with my friend and colleague, ERIC WILLIAMSON. Welcome back to the podcast! This week, I wanted to share an interview Bruce Bowser and I did for the Author Hour podcast. We were invited to do it because our book, The Focus Effect, is attracting a lot of attention. 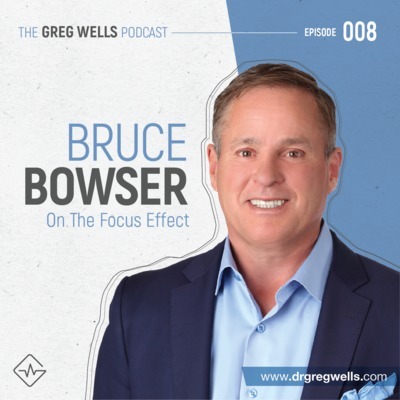 This conversation is really fun because Bruce and I got a chance to chat about the three main sections of the book (Personal Mastery, Work Mastery and Life Mastery) and explore our ideas for helping people fight back against this age of distraction. Bruce is fantastic and was incredible to partner with on the book – me coming from a physiology perspective and him from the business angle. Bruce is President of AMJ Campbell and an entrepreneur who has been successful in a range of business ventures. I hope you find this interview useful as you map out a strategy for reducing distraction and making your life better by controlling your focus. Please enjoy this conversation with my great friend, BRUCE BOWSER. Hey there. Welcome back! Thanks for joining me for my conversation with Graham Brown, Director of Manufacturing for Lush Cosmetics. This interview is a little bit different but completely amazing. 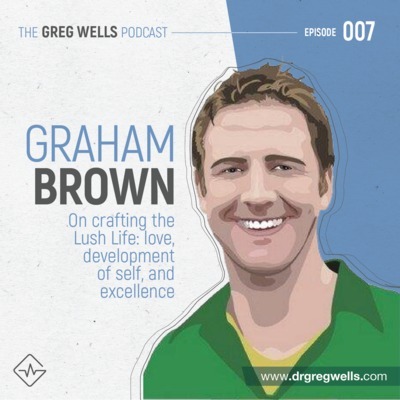 We end up speaking quite a bit about Graham’s commitment to the happiness and well-being of his employees and passion for making Lush an ethical and sustainable brand. Graham was Lush North America's first employee, managing all Lush operations this side of the Atlantic out of his dorm room in Vancouver right from delivery of raw ingredients to hand pressing bath bombs. As the business grew, so did his portfolio. He took on his current role in 1999 and now leads a team of over a thousand people. This is a great conversation with tons of very practical takeaways that offer a granular look at how to apply techniques I talk about on a regular basis. So, let's dive into this chat with my inspiring friend, GRAHAM BROWN. Hello! It's great to be with you. 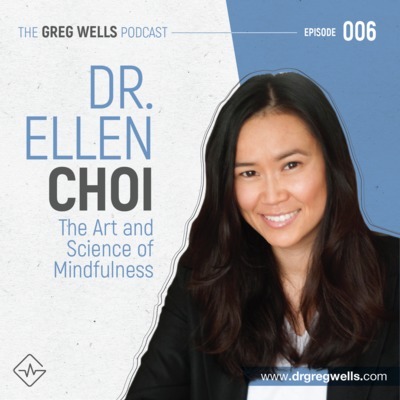 One of the most downloaded episodes of my first podcast season was with Dr. Ellen Choi who did her PhD on the benefits of mindfulness and meditation for business. I thought it would be a good idea to bring her on the show again. In this interview, I get an update from Dr. Ellen about her research into the effects of mindfulness training on attention and emotional regulation, authenticity, resilience and performance under pressure. Dr. Ellen graduated with an undergraduate Commerce degree from Queen's University before pursuing a Master of Science at the London School of Economics and a PhD at the Richard Ivey School of Business. She has also worked in commercial real estate and is a trained yoga instructor and executive meditation coach. She has been a wonderful resource in my life, so I am really proud to share this latest interview with my friend, a fascinating individual, DR. ELLEN CHOI. Greetings, Podcast Universe! I am really excited about today's show on which I speak with Jake Thompson, a specialist in the area of competition. In my mind, competition is a primary way to motivate ourselves to achieve more in life. I grew up in the crucible of competitive swimming, and the skills I learned have led to almost everything I've been able to achieve. Jake helps teams establish a competitor's mindset because he believes it’s the path to becoming resilient, pursuing your passion and smashing your goals. 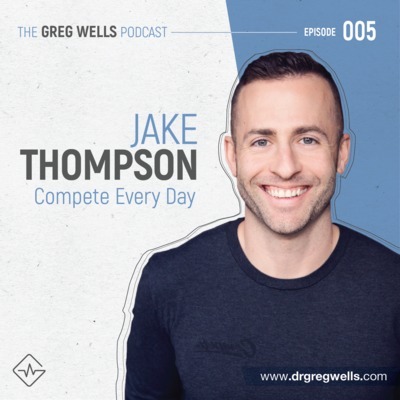 Jake is a popular speaker and also the Founder and Chief Encouragement Officer at Compete Every Day. He started selling T-shirts out of the trunk of his car in 2011 and is now distributing globally through retailers and his online store. A native of Texas, he's a graduate of both Texas Christian University and the University of Dallas. He is also the youngest strategic advisory board member at the University of Dallas's College of Business. Hello everyone! It’s great to be with you. Today, I want to share an interview I did with Jonathan Levi on his Becoming Superhuman podcast. Jonathan is an extraordinary guy, and the interview was full of insights as we talked back and forth about human performance. 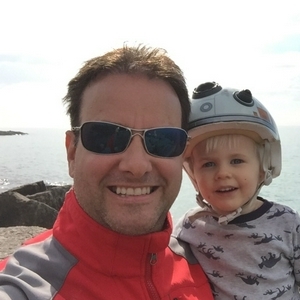 A bit about Jonathan: after successfully selling his Inc. 5,000-rated startup in 2011, Jonathan spent time in Israel, where he enlisted the help of speed-reading expert and university professor Anna Goldentouch and machine learning expert Dr. Lev Gold. These two tutored him in speed-reading, advanced memorization, and other mental performance techniques. Jonathan applied these techniques during his MBA at INSEAD and saw incredible results. He was overwhelmed by the interest his classmates showed in his superlearning skill set, so he decided to pursue the field full time. Since then, he has become a proficient lifehacker and industry-leading guru in the optimization of processes such as travel, sleep & language learning. Welcome back! Thank you so much for joining me on my podcast. Today, we have the opportunity to interview a really incredible person who's become a pretty good friend of mine. 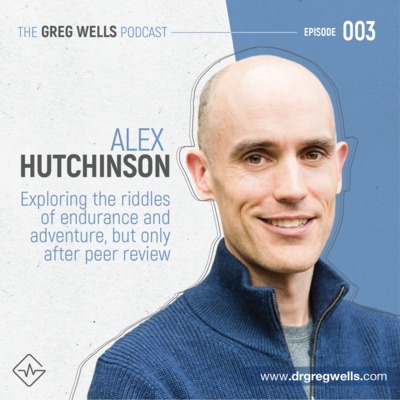 Alex Hutchinson is an author, scientist and journalist who has an incredible knack for deconstructing and translating knowledge about the limits of human performance. He has produced fantastic articles for magazines like Outside and Running World, and his latest book is amazing. Endure: Mind, Body, and the Curiously Elastic Limits of Human Performance has a forward written by Malcolm Gladwell. Alex explores our capacity to endure because he believes it underlies great performance in any field, ranging from sprinting to ultra-marathoning, summiting Everest, aceing a final exam and completing a difficult project at work. The question Alex obsessively explores is one that I constantly ask myself: What are we actually truly capable of achieving? So let’s dive into this complex and fantastically fun interview! Hello podcasters! It's great to be with you. 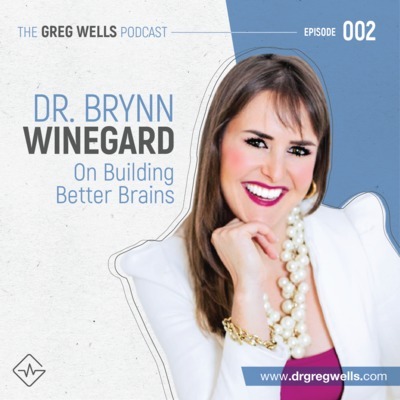 Today, I interview Dr. Brynn Winegard, an award-winning professor, speaker and brain expert. I'm psyched about this interview because I'm really interested in how we can couple everything we know about positive psychology with cutting-edge neuroscience to improve mental health and performance. Dr. Brynn is formally educated in neuroscience, psychology, and marketing and strategy, including a BSc, MBA and PhD. On top of her training and research, she also spent a decade in corporate marketing working for organizations like Pfizer, Nestlé and Johnson & Johnson. While she retains faculty positions at the Schulich School of Business, The DeGroote School of Business and the University of Guelph, Dr. Brynn has now dedicated herself to a speaking career helping groups, organizations and companies learn to build better brains. She is a world-leading expert in neuroscience and in the intersection of business and brain science. Welcome back! 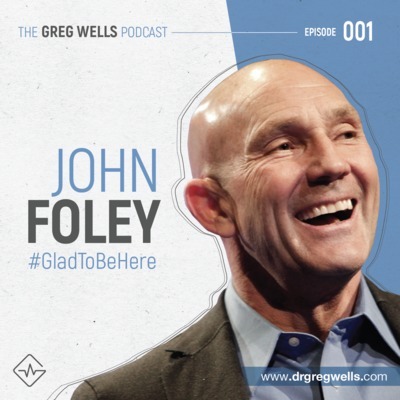 John Foley's personal path to high performance began as a child when he stood alongside his father at an air show featuring the Blue Angels. From that moment John knew that someday he'd be carving up the skies as a member of the Blues. Eventually he lived that dream. But getting there wasn't easy. In fact, John's journey from an awestruck child at an air show to the cockpit of the Blue Angels F-18 Hornet -one of my favorite planes - is a study in persistence, hard work and the will to overcome obstacles and setbacks. John graduated from the U.S. Naval Academy with a degree in mechanical engineering. John was a top 10 carrier pilot six times before becoming a Marine instructor pilot and a Blue Angel. He holds a Master’s degree in Business Management from the Stanford Graduate School of Business where he's a Sloan Fellow and he has an International Policy Studies degree also from Stanford University and he has a degree in strategic studies from the Naval War College.